1973 by Vince Aletti for Rolling Stone Magazine. In 1974 New York City's WPIX-FM premiered the first disco radio show. Well-known late 1970s disco performers included Donna Summer, The Bee Gees, KC and the Sunshine Band, Chic, and The Jacksons. disco. This was especially evident in the show's second season. 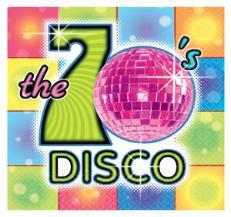 The disco phenomenon was the last mass popular music movement that was driven by the baby boom generation. films as "Fame" (1980), "Flashdance" (1983),"The Last Days of Disco"(1998), and the musical "A Chorus Line" (1975). this in the song "Saturday Night Holocaust", the B-side of the song "Halloween"
be popular elsewhere during the 1980s.